In a long interview with Crown Dozen in 2005 about the explosion of the Ugly Dolls phenomenon [which is only continuing, of course. There were giant dancing Ugly Dolls at the International Toy Fair in New York last week. 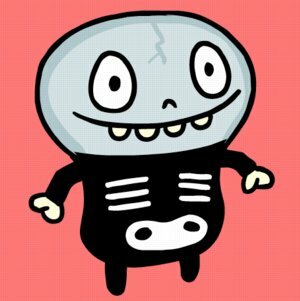 ], co-creator David Horvath talked about some of his other projects and characters, including an optimistic little skeleton he created for a kid's TV show on NHK, the Japanese public television station: Little Bony. Little Bony is on Karada de Asobo [Let's Play With Our Bodies], a preschool-oriented show about bodies and movement produced by Sony Creative. Because it was targetted so young, Horvath explained, the licensing was severely curtailed. In fact, the only product released so far has been a limited-run vinyl Little Bony doll for Horvath collectors in the US. Yeah well, that was then. 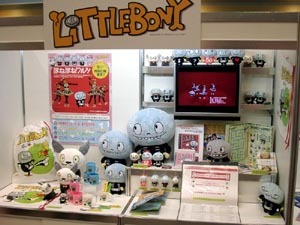 Last month, Sony Creative Products unveiled a line of Little Bony merchandise, including plush toys, which are set to drop in late April. Amazon Japan is taking reservations now, but the products won't ship outside Japan. The first Little Bony book just launched on Friday, too. Broadcast, food, finance, and medicine- related licensing opportunities are in the works. 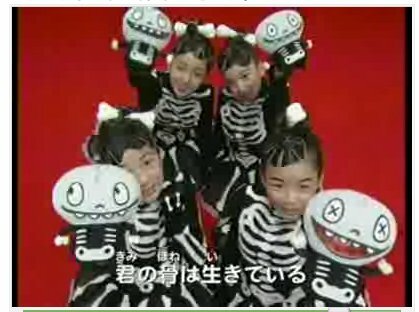 In advance of the merchandising push, Sony teamed Little Bony up with four members of AKB48 [Akihabara48], a tweenybopper girl band army with, I guess, 48 members, to sing "Hone Hone Waltz," [pron. : "ho-neh", means 'bone'] which is a saccharine ode to/tour of our glorious skeletons. It's funny, when I started writing this post, I was kind of stoked at the discovery of a cool character and show by Horvath that's actually for kids [Ugly Dolls started out as an indie art toy for adults, remember]. But pulling all these indie artist threads and finding a giant corporate ball of yarn at the end, I've ended up more ambivalent. Not just because it's Japanese, but I have liked a lot of Japanese kids' TV, or at least the NHK stuff, because it's exponentially better, and not just in a quirky way. Unlike Thomas and Dora and other inescapable TV/licensed merch juggernauts in the US, the NHK stuff seemed refreshingly non-commercialized. But that also may just be because we're not soaking in it. Sony's exploitation of Little Bony is just getting underway, and it may never go beyond a niche, but from the non-commercial launch to the vinyl to the girlband cross-promo, the whole thing turns out to be a careful strategy to build a character/property that's not just a flash in the pan. As a parent, decoupling the screen entertainment from the toy≥ar purchase makes me feel more in control and less like I'm training my kid to be a good, little, consumerist zombie every time we watch something. So maybe it's just a NIMBY thing, and as long corporate-scale kidsploitation happens out of reach of my own kid, I'm fine with it. Horvath can be the Brad Pitt of the indie toy world, making mad bank doing commercials for Japanese mutual funds while keeping it real at home. And besides, Ugly Dolls are totally mainstream now anyway. 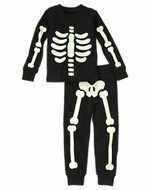 I thought Little Bony was pretty cute, so I showed him to my three-year-old son. "Does he bite?" he asked. "I don't think so," I replied, "what do you think?" "I think he does. I don't like him." I like him, I want to find one for the girl. As for NHK and marketing, they do seem to be less obnoxious about merchandising than US companies (not that that is hard...), but their mascot Domo-kun has gotten more than his fair share of tee-shirts, toys, and cell phone danglies. Great to see you at Katsu, btw. I am very glad you enjoyed artist alley. I'm always pleased when AA gets some sales over the dealers' room. You may have some facts backwards. As far as I know, the Littlebony vinyl was the only item not produced. I've been collecting Littlebony items for a few years now. I have 25 different plush toys of Littlebony and his dog, some capsule toys, and a fork, knife, cup set. So this is nothing new. Actually, it looks like less this year. As for the artist, we know he turned down huge money from fast food and huge offers from the big box stores. Not sure I could do the same with a kid on the way. Diapers add up. So god for him really.